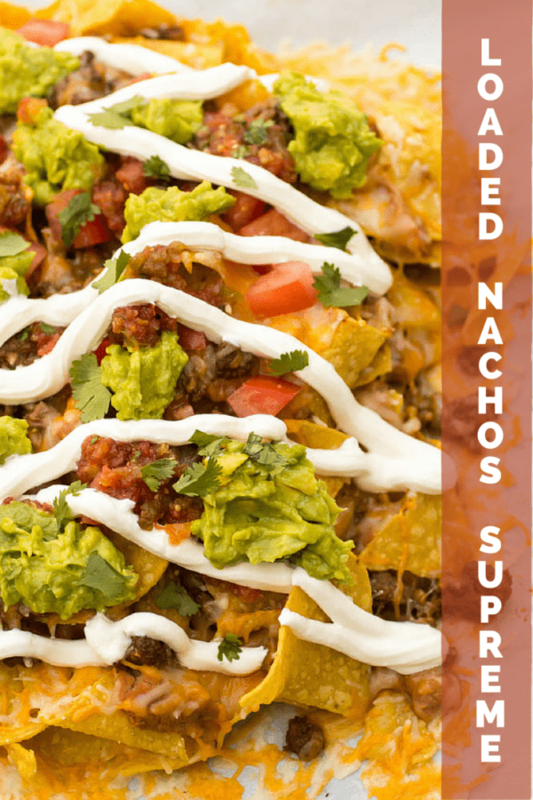 Loaded Nachos Supreme is a family favorite over here, and is perfect for the night AFTER taco night. Flavorful beef is placed on top of a mound of fresh chips, and don’t skimp on the fixings. I love using up my leftover Instant Pot Shredded Chicken Taco meat for these too! Making Mexican-inspired food at home is always fun for us. We love it. 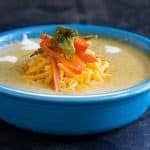 We have quite a few “Mexican” recipes here on the blog that I make over and over and over again. 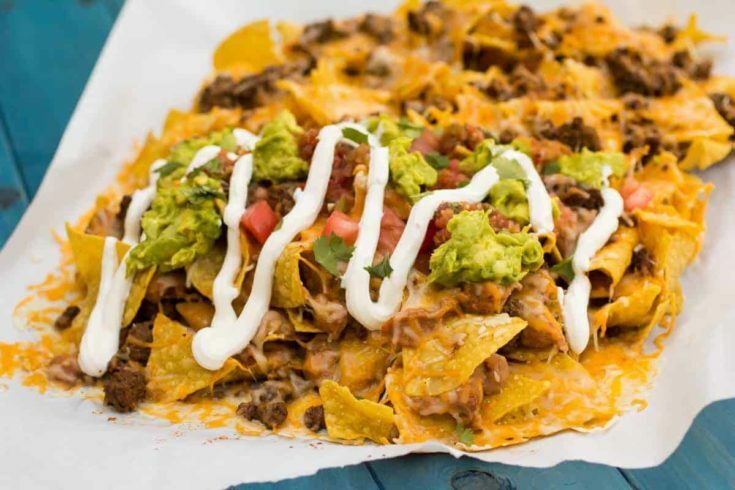 I was really surprised when I realized that we didn’t have ONE post on the site with nachos! Well, let’s remedy that right now. 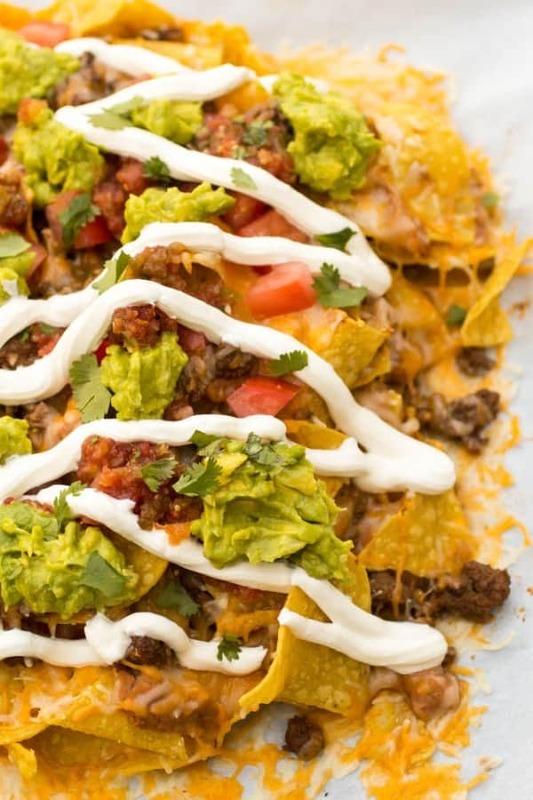 These nachos are simple and totally awesome. 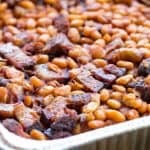 My kids loved them, and we just plopped the entire thing on the table and let everyone go to town, in a truly “family-style” meal. 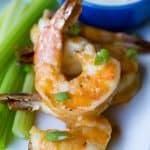 They are easy, and a great change up from your typical taco night. Great question! I prefer a freshly made chip that is more “restaurant style”, personally, but the problem with these is that sometimes they are a little more crumbly than the tostitos chips of the world. What you’ll want to use here is totally up to you. Heck, you could use Doritos if you want. In fact, I bet that would be stupid good. 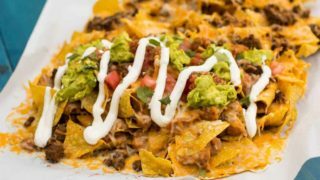 What Should I Season My Nacho Beef With? This Chile Lime Spiceology Seasoning is my new favorite thing for almost all of my Mexican fare. Go throw your taco seasoning away right now because you’re definitely going to want to switch to this stuff. I also recommend stirring in a can of diced green chiles as well! 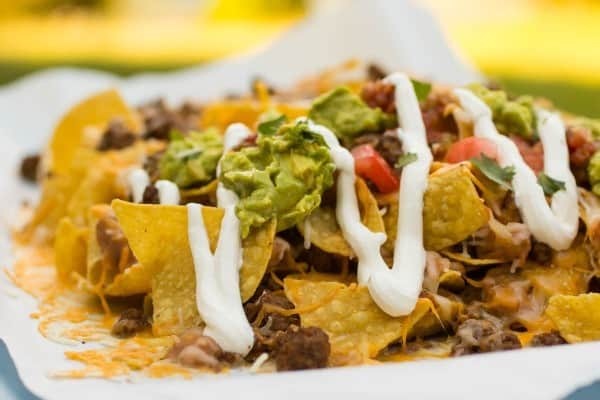 Loaded nachos supreme is a delicious family-style meal. 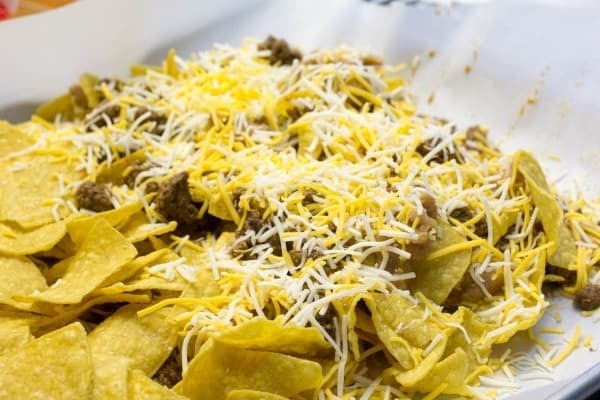 Flavorful beef on top of a pile of tortilla chips, and heaped with cheese and all of your favorite fixings. 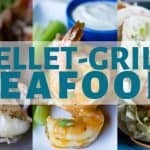 Great meal for any day of the week! 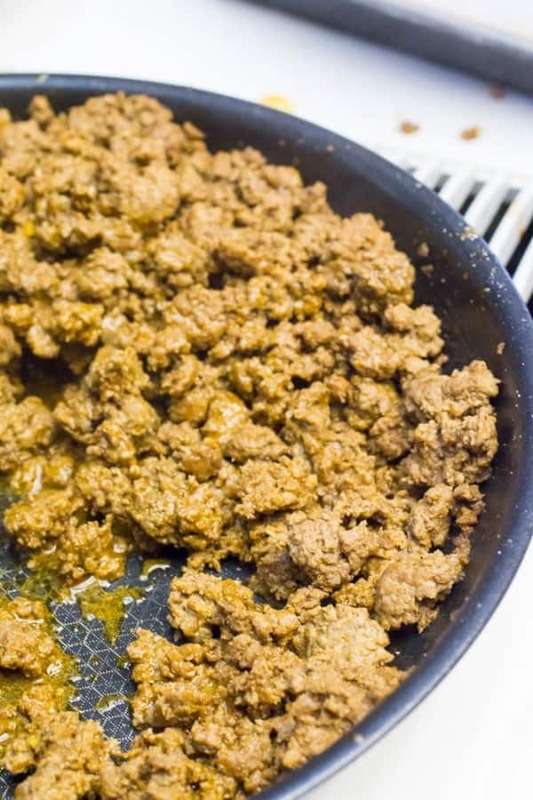 Brown ground beef, drain off excess fat, and add seasonings. Line a large baking sheet with parchment paper, and then place a layer of chips over the top. Spoon 1/2 of the ground beef on the top, and then add a cup or so of cheese sprinkled evenly over the beef/chips. 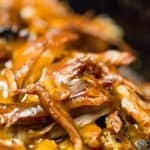 Place another layer of chips, beef, and cheese, and bake at 350 for about 7-10 minutes. 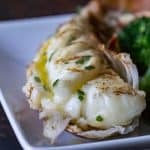 Remove from oven when the cheese is melted, and garnish with all of your favorite fixings. 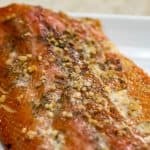 Is there a substitute for the chili spice blend? I could not find it at my local grocery store. Thanks! If you’d rather not, you could just substitute your favorite taco seasoning – but the end results will be a lot different. This seasoning mix is seriously unique and outstanding! It has ingredients like ancho peppers, aleppo chile, orange peel and lime peel. Crazy good. 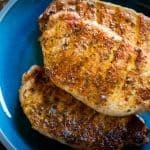 I also love the chile margarita seasoning and use it as a substitute for taco seasoning. I like the addition of the other seasonings,too. Have you tried the Greek Freak blend? I love adding a bit of it to my jarred spaghetti sauce. OH MY GOSH. The Greek Freak is like my FAVORITE.